I often spend 4-5 hours fishing from my kayak - may not always find fish, but I always find peace. Capt Louie - the Keys are pretty special. But we do have a wonderful variety of waters here. Just in the last two weeks we've eaten trout, mango snapper, redfish, scallops (last package) and crab cakes. Only the scallops came out of the freezer. Citrus county's done a nice job on their free parks, too. I been here a while... off and on. seen a lot of change, some good, some bad. always came back and have stayed this time 28 years. mullet boat pic was Ft. Myers beach circa 1994. Well said Billy. There is a lot of diversity from say cedar key down to homosassa. I've been plowing around the area for about 10yrs and I see something new or different each time. The forum has taught me a lot and I have made some good friends here. It sure is! Not just the water either. Having the good fortune of doing much botanical work for the state and UF while in Gainesville, I became quite familiar with the flora and fauna from this part of the state. 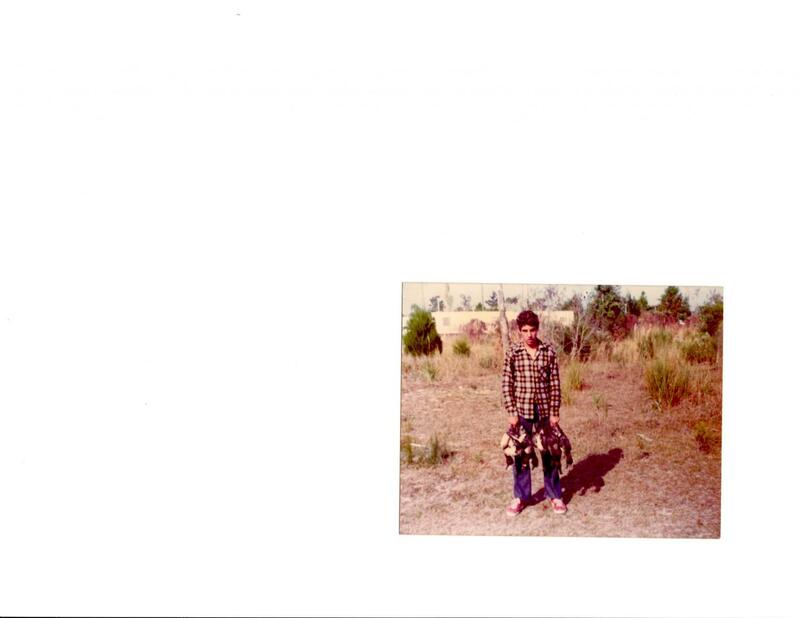 I was blessed to have a permit to Wacassassa back in 1994 for a couple years to collect live plant specimens for botanical illustrations, and also for floristic studies to determine the ecotypes and ecotones on the preserve. Nearly every Sat. morning for 18 months I was out there at first light. Almost made want to take hunting up again. Simply amazing the flora and fauna we have, no where else in the world has what we have. I've live in S. Fl N. FL and central FL, but when I brought a class of field biology students to Chinsegut Nature center, I fell in love with the landscape here. Sandhills, flatwoods, coastal forests, the black needle rush so predominant. Oh yeah, i'm here for good. One day I'll even figure out how to tarpon fish out of my home port (bayport), which I rarely fish out of...I'd really enjoy a chance to get to know the Chaz area, but my boat just can't do it. I love Crystal river area. great fishing up there compared to hernando county. Although redfishing is good here. I had the good fortune to have been born in central Florida before Walmarts..........have nothing but fond memories oystering and trout fishing with my Grandfather in the Crystal River area as a youngster..........fished offshore with my Father out of Sailfish Center (in West Palm) prior to it becoming a tourist attraction.........now spend what free time I have - taking my babies with me whenever I can - wondering around and wade fishing in the Northern Indian River Lagoon/Merritt Island Wildlife Refuge area. Those days with my Grandfather still call to me.........one day I need to take my children there..........while it still is. I was born just south of Miami at a time when U.S. 1 was still a poorly paved 2-lane road and a 25 hp outboard was an outrageously huge motor. Development had stalled during the depression and there were miles of roads blocked out for homes that were never built. Sort of like Citrus Co. today. Outside of downtown Miami there were no crowds, fishing was good and there was never a line at the boat ramp. Actually there weren't too many ramps and not that many people had boats. We fished canals and bridges a lot and rented a boat for a big day of fishing. Times have changed, and all that is gone. Almost all my extended family has moved from the area. I chose the Nature Coast because the pace and development here are similar to the South Florida of my boyhood. I'm thankful that such a place still exists even if the sand gnats can make life miserable at times. What a cute kid you were! My paternal great-grandfather was born in what's now Levy County before Florida became a state. He was, as far as I know, nothing more than an illiterate dirt farmer who raised a passel of young'uns. I'd like to think he must have spent some time crabbing or fishing too, because I'm pretty sure that I've got salt water marsh in my veins. I feel at home in the marsh...and among the shallow creeks, the oyster bars, the mangrove islands. ps - had a '94 same-color-red Chevy dually (is that a dually in your pic?) - sold it just two years ago when we sold the Grady. It was my daily drive for a decade. Loved it! - could park it easier than I park the much smaller suv spin-off I'm driving now. The mullet boat reminds me of a now-deceased friend of ours. He was born and raised on an island (still bears the family name) near the mouth of the Suwannee. Had to take a boat to go to school, his father was a commercial mullet (I think) fisherman. 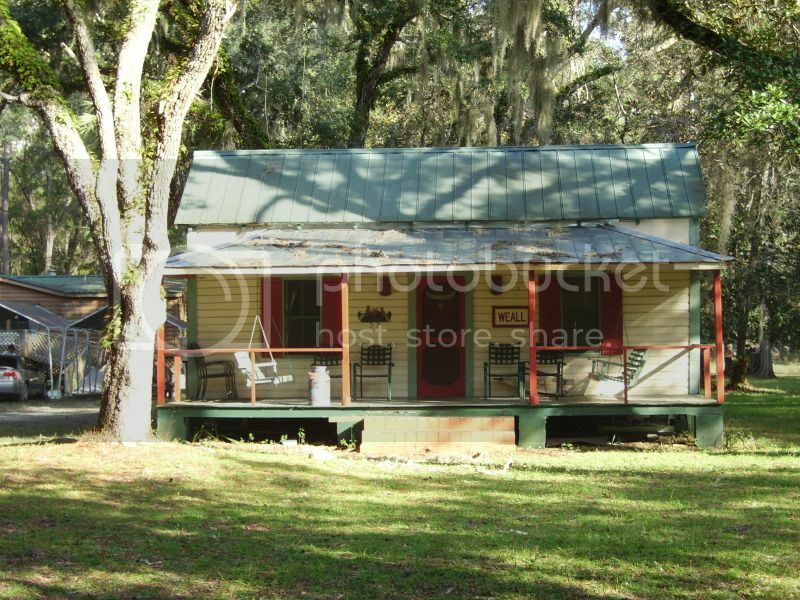 My Mom's side of the family were all from Yankeetown and her and most of my great uncles were born in this house in Gulf Hammock. House was built in the 20's and sits on Butler road. Part of my summers were spent here and is one reason I ended up here. Well said, Billy! We all seem to have those days when we become introspective but few of us share our thoughts as you have here. I first fished here in 1967 on a company fishing trip. 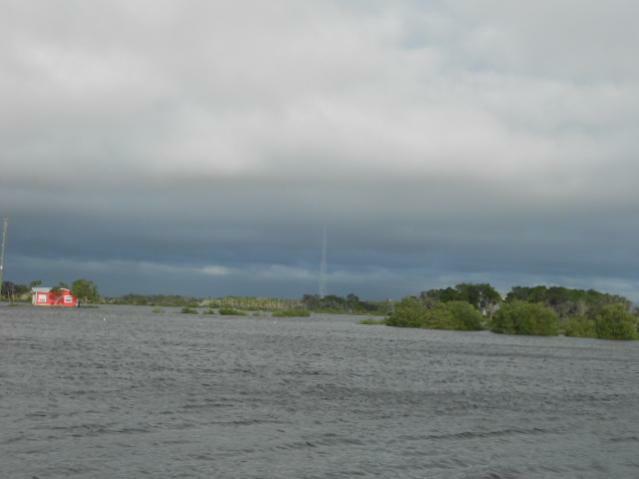 Highlight of the day was the shore lunch where the rental house now stands at the mouth of the Homosassa. Moved here in 1994 and have been exploring the waters ever since. You're correct, for this is truly an awesome area with great fishing! Let's "two Gheenoe" it together one day. Let's "two Gheenoe" it together one day. Maybe next week Dave...weather and tides look good. GL, the blue boat belonged to Drew Bertine. 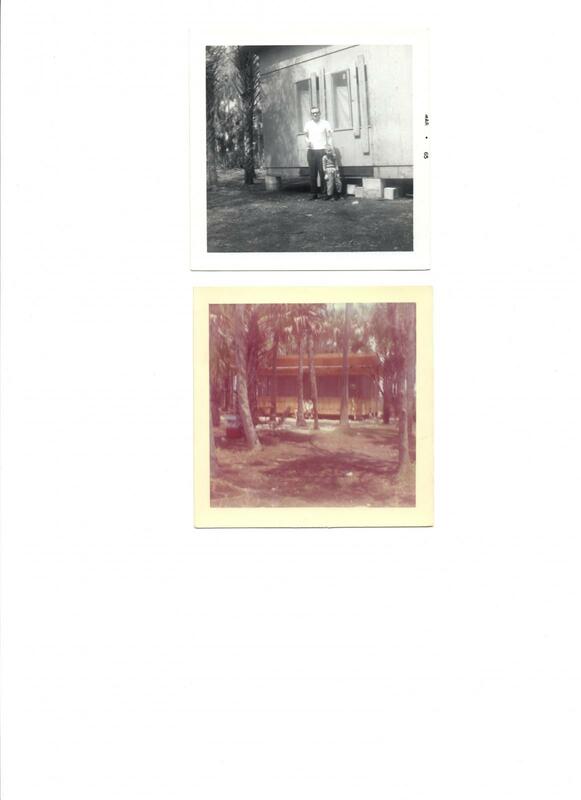 I had scanned some old pics a while back and did two at the time. 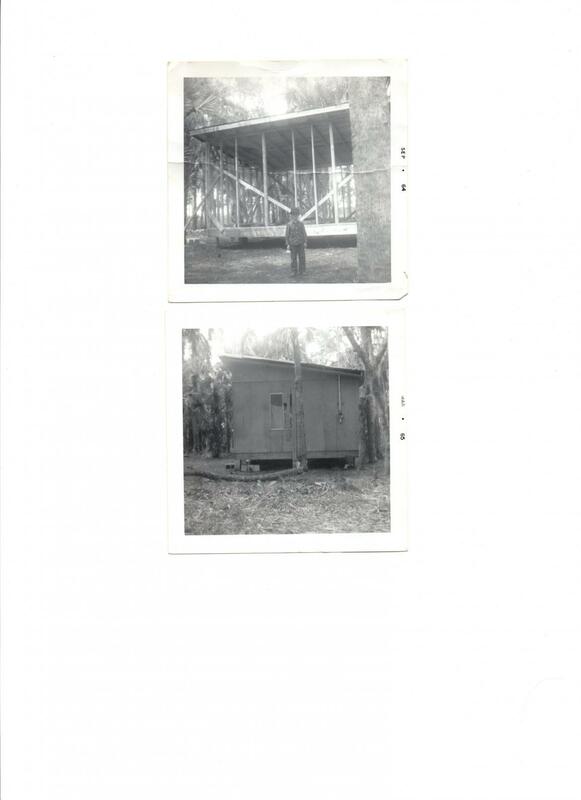 The b&w are of the cabin my father built in Ozello early 60's, before that (and me) we had a place on the Homosassa somewhere around Ward's Resort (not sure if it's even there now). That's a pretty neat history, Louie. Still in the family? I've been told the old home place in Levy County is still standing but being used to store hay now. My immediate branch of the family moved to Tampa in the '20's. My dad sold his interest in the land sometime back...but I believe at least some of it is still in the family. My sister and I have often talked about researching the place - after all, it's just the next county up! I love that line - 'livin' life at 6 knots'. 'livin' life at 6 knots'. As a long time sailor of many sizes of sailboats I have always used that line...that and the illusion of speed. Priceless old pictures. Do you still have the cabin? What water were you on in the boat? 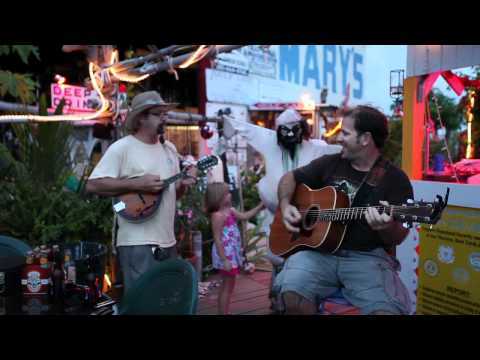 I don't know what it is, but Cedar Key, Ozello and parts of Homosassa 'really got a hold on me'. The waters of Tampa Bay used to be a great place to go crabbing at night with a washtub, a lantern and dip nets...and to wade fish for trout. We're not here full time yet - and it'll be tough to leave behind the woods, the cypress swamps, fields and lakes where our babes were born and raised...where the closest neighbors are turkey and deer - even if it is only an hour and a half inland. But this area makes more sense for oldsters like us - everything is so much closer...and it feels like home. 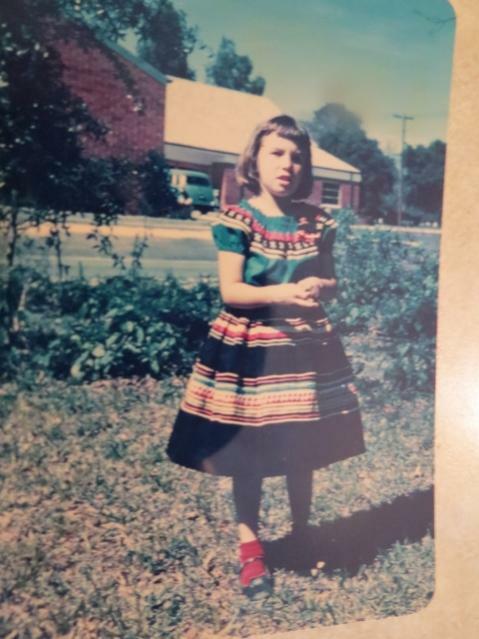 Speaking of childhood pictures - '58 or '59 in Tampa - all little girls had a Seminole skirt and blouse. 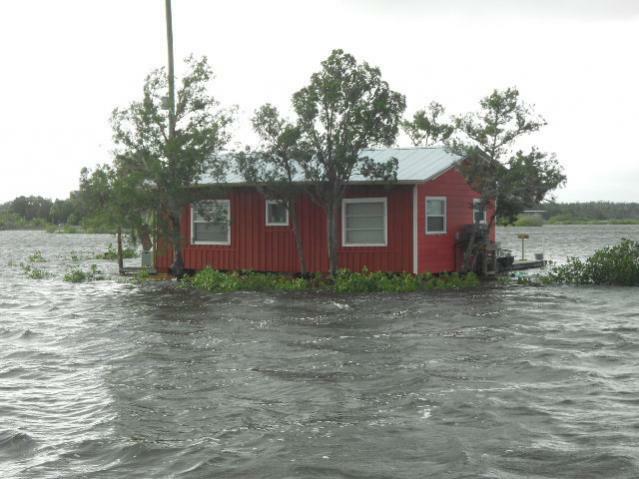 I don't know what it is, but Cedar Key, Ozello and parts of Homosassa 'really got a hold on me'. This thread seems like the internet equivalent of sitting around a campfire with a few beers telling stories. Spent almost every summer break in Gainesville with my grandparents from the time I can remember till the time I was 14. Grandpa worked at the VA, and every day when he came home we would spend a few minutes playing fetch with the dog and then he would come up to the house and have a cup of coffee. After the coffee, we would go fix whatever needed fixing on the farm, fences, plumbing, etc. EXCEPT for Fridays! Friday would get here, and I would be waiting at the base of the stairs come 5, by 5:15 or so he came rolling up the drive and would back the old station wagon into it's parking place. We would load up the groceries for the weekend, a few changes of clothes, water, and then we would be on our way out to Suwannee. Stopped at the Lighthouse in Fanning for dinner, then down to the old mobile home in Suwannee. It would be pitch black by the time we got there, so we would unload the car, take the dog for a walk, get in a game of Uno and then bed. Spend Saturday and Sunday fishing unless it was lighting out, then I would just sit in the boat shed staring at the sky hoping it would clear up, play cards with Grandma, or do one of the seemingly endless puzzles that Grandma worked on while she was out there while we fished. 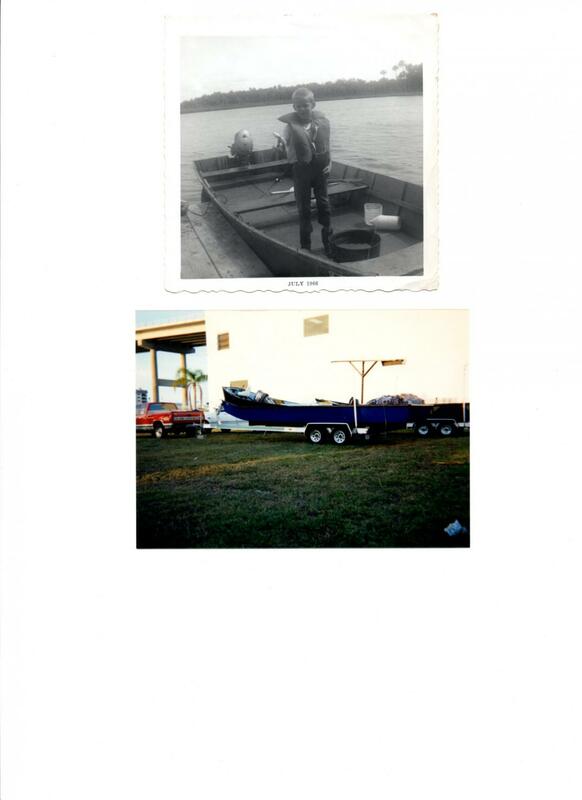 When we finished up for the day with the boat, I would sit on the sea wall with a cane pole and fish till grandpa would say it was time to call it a night. This forum has opened up my eyes to more of the big bend. I'm falling in love with the diversity and quality of fish you can catch inshore in CR. CK is neat, just don't leave anything not bolted down unattended. HB.... Wow, flats for MILES. And one of these days I'll get out to Steinhatchee and west, but I'm learning and loving more and more of this area of coastline. And the friends I've made here are some of the most genuine I've met in a LONG time. Man I love this place. think Bill was trying to pen a Toby Keith song......."I love this bar"
Actually it's "I love this Place"...:). Many come here and have no idea what a gem it is and they complain about no good restaurants, nothing to do, all the old people...you get my drift. I moved here and said "how do I change to allow me to fit in with those who have lived here for many years" and not try to change them to what I might have experienced elsewhere. I might not have completely succeeded at doing so but it "ain't" for lack of trying. Great post , Bill and others. Love seeing the old pics and thinking how beautiful the water must have been. It's stil a beautiful place to live and have fun. 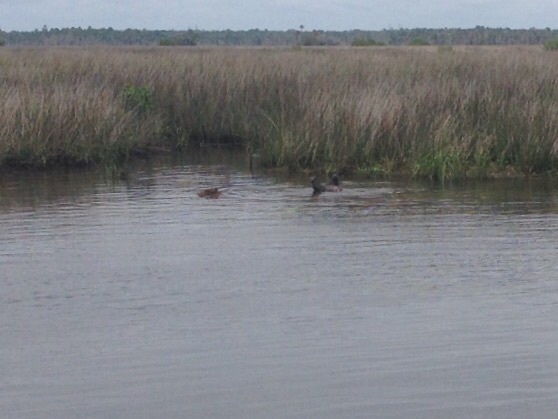 Wildlife at times tops the fishing, if that's possible. Went out yesterday with my wife and we got 32 & 28"Snook along with some bruiser Jacks, but it was the family of 4 Otters that came out of the grass and started frolicking in the water 40' from the boat until they noticed us and made a hasty retreat, that was most memorable. The Eagle sitting on the bar that we got close to wasn't a bad sight either! Many people have not had an afternoon like that in their life! We are blessed!!!! !